Everybody deserves a way out of a building in an emergency fund-raising t-shirts are back! 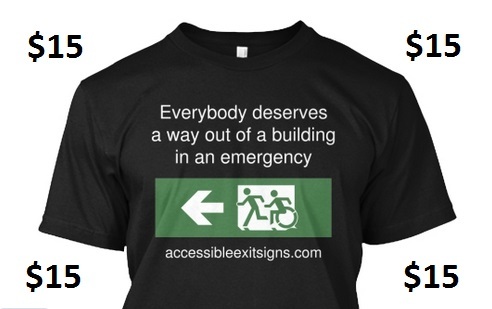 We’re raising funds to help finance new ideas and running costs for the Accessible Exit Sign Project https://accessibleexitsigns.com/.  So why are we here trying to sell t-shirts? Well, we need to spread the word about the Accessible Exit Sign Project. This is a campaign that promotes the need for an accessible means of egress in all buildings for all building occupants, especially important for those people who face barriers when presented with a fire escape stairway as the only way out of a building. We also think that these designs look great on the t-shirts. These have been made available to try to generate some funding for the project and help pay overheads (web hosting, domain name registrations, marketing, etc.). If you feel like you’ll enjoy one of these shirts, please consider making a purchase. Thank you (they’re available for a limited time ranging from 11 days to 26 days depending on design).